Several methods showed in this blog to install Mac OS X on Windows OS with Desktop Virtualization, original Mac installation DVD does not work sometimes with these methods. You must create ISO file from installation disk and use. This post shows how to create ISO from Mac Installation DVD in Windows. I tried my favorite DVD writing software to Rip Mac DVD to ISO in Windows, but those images did not work with VMware or VirtualBox. Finally, Imgburn did the job and it worked well. 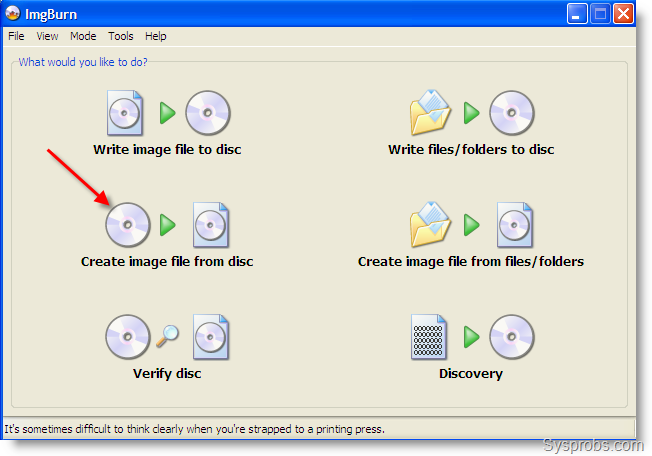 2) Start program and select image file from disk option. Do not close log screen down, better keep it. 3) Next screen will detect the DVD information and output file location. Make sure to select correct source destination. Its better to reduce data reading speed to 1x ( I know it will be slow) for this conversion. Then start. 4) Progress bar will show the status. I’m sure it will end without any errors if the physical drive and disk have no damages. NTFS-3G for Mac OS X! This package will install read/write file system support for the Windows NT Filesystem (NTFS) using the free software project NTFS-3G. Please visit http://macntfs-3g.blogspot.com for the latest version of this package. NTFS-3G ( http://www.ntfs-3g.org ) Copyright © The NTFS-3G project, led by Szabolcs Szakacsits. Released under the General Public License (GPL) Version 2.
ntfsprogs ( http://www.linux-ntfs.org ) Copyright © The Linux-NTFS project, led by Anton Altaparmakov. Released under the General Public License (GPL) Version 2. MacFUSE ( http://code.google.com/p/macfuse ) Copyright © Google Inc. Released under a 3-clause BSD-style license. NTFS-3G for Mac OS X supporting utilities and preference pane ( http://macntfs-3g.blogspot.com ) Copyright © Erik Larsson (Mount script is partly © Paul Marks) Released under the General Public License (GPL) Version 2. NTFS-3G for Mac OS X is a software project designed to bring NTFS read/write support to Mac OS X along with additional advanced features. It is based on NTFS-3G, the leading open source NTFS driver that is ported into numerous platforms, but also includes other software projects to build a complete toolset for managing NTFS volumes. NTFS-3G itself is included in hundreds of Linux distributions; for example Fedora, Mandriva, openSUSE and Ubuntu use NTFS-3G as the default NTFS driver. Development has been ongoing since 2006.